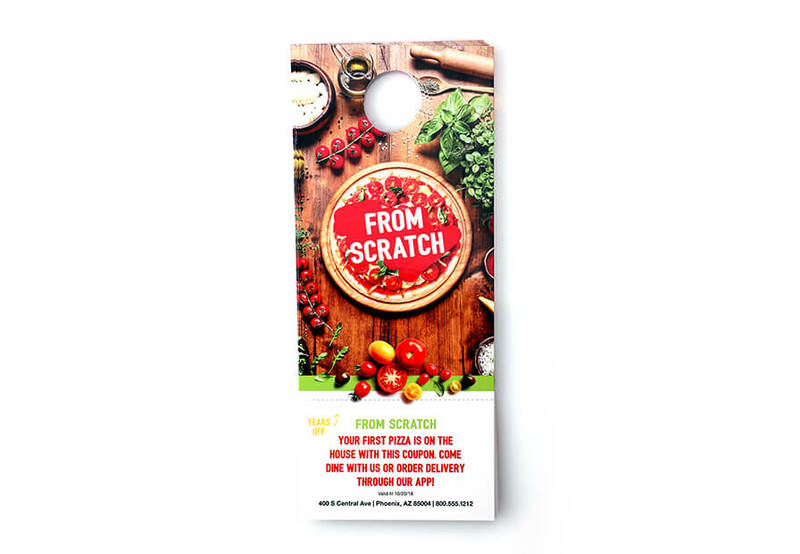 Door hanger printing continues to be a useful marketing tool to reach new customers. Choose our Glossy UV coated door hangers and start promoting a business, product, service or special announcement. Select from various dimension and die-cuts including Standard, Starburst, and Arch. Once printed, we apply a Glossy UV coating over the entire door hanger (also mentioned as flood coating) to help protect them and enhance the colors.